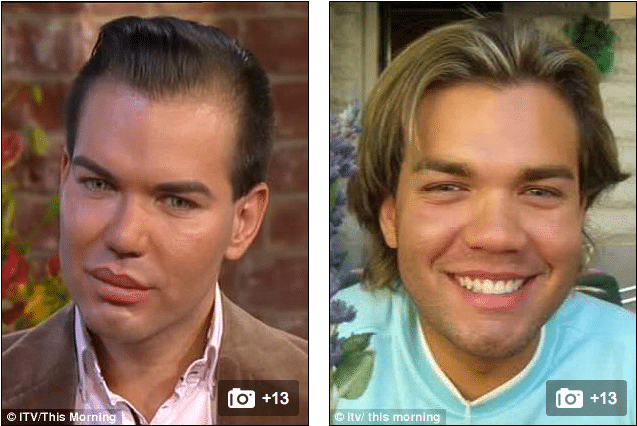 Rodrigo Alves spends $168K on plastic surgery to look like Ken doll. Home Scandal and Gossip Rodrigo Alves spends $168K on plastic surgery to look like Ken doll. Rodrigo Alvez is also a preferred hawt bixch…. Rodrigo Alves spends $8000 on new plastic surgery to look like Ken doll. Real life Ken doll, Justin Jedlica announces he has more plastic surgery in store. Good news! ‘Human Ken Doll’ Justin Jedlica spends $100 000 on plastic surgery so he can finally love himself. Meet the human Ken Doll, has had 90 plastic surgeries to look perfect. But is he? According to Rodrigo Alves it all started ten years ago after he came across an inheritance, which allowed him to change the one thing he really hated about himself- his nose. Hence started a life long ambition to achieve the perfect self. Fast forward ten years later and the 30 year old flight attendant has spent well over $160K on 12 operations, including jaw liposuction and six-pack, arm and leg implants. He claims that he may never end his quest for the perfect face and body, despite almost dying after a recent procedure went horribly wrong. 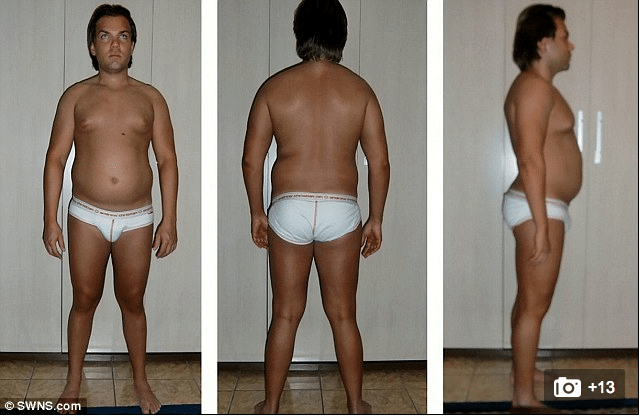 In January, Rodrigo suffered dangerous complications after undergoing a procedure to enhance his biceps, triceps and shoulders with silicone. The chemical leaked into his system and within days his arms has swelled so much that he couldn’t feed or bathe himself. Soon he was back in hospital having liters of fluid drained from his body. He was perilously close to death. At one point doctors told him that one arm might have to be amputated. If the infection caused by the leaking fluid reached his heart he would have died. After three weeks in hospital with the support of friends and family, Rodrigo recovered and flew back to the UK. And what’s next for Rodrigo Alves? A fourth nose job of course. What do you think kids? What is about Rodrigo Alves that Rodrigo Alves is really trying to change and perfect about himself and how much does it really have anything to do with another nose job…? This is sad , he looked better before the surgeries. If only he had hired a trainer for a fraction of the money spent on surgeons .